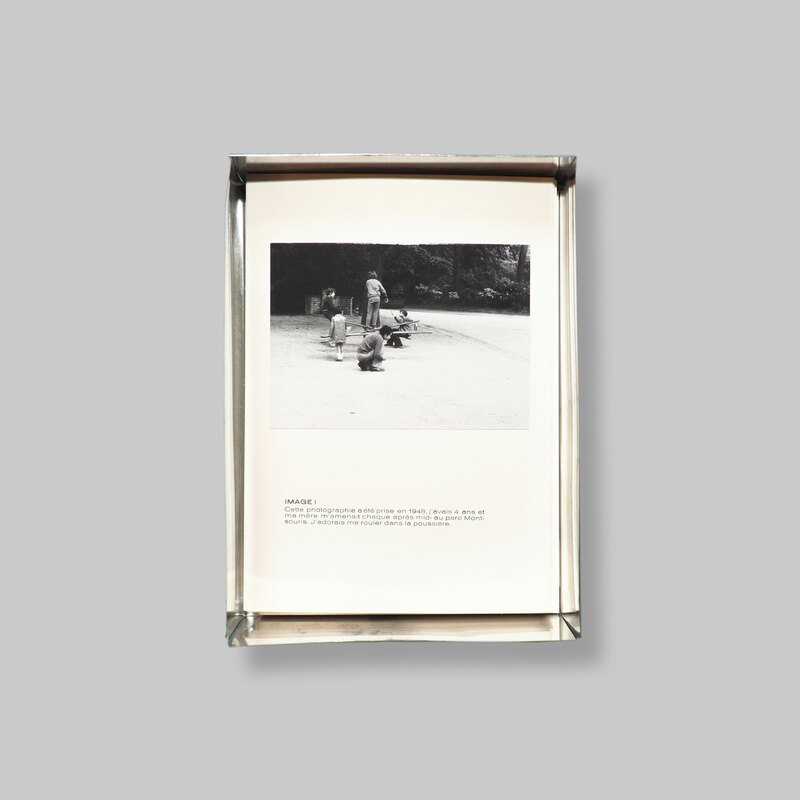 Title: L'Album photographique de Christian Boltanski 1948 - 1956. FINE COPY. 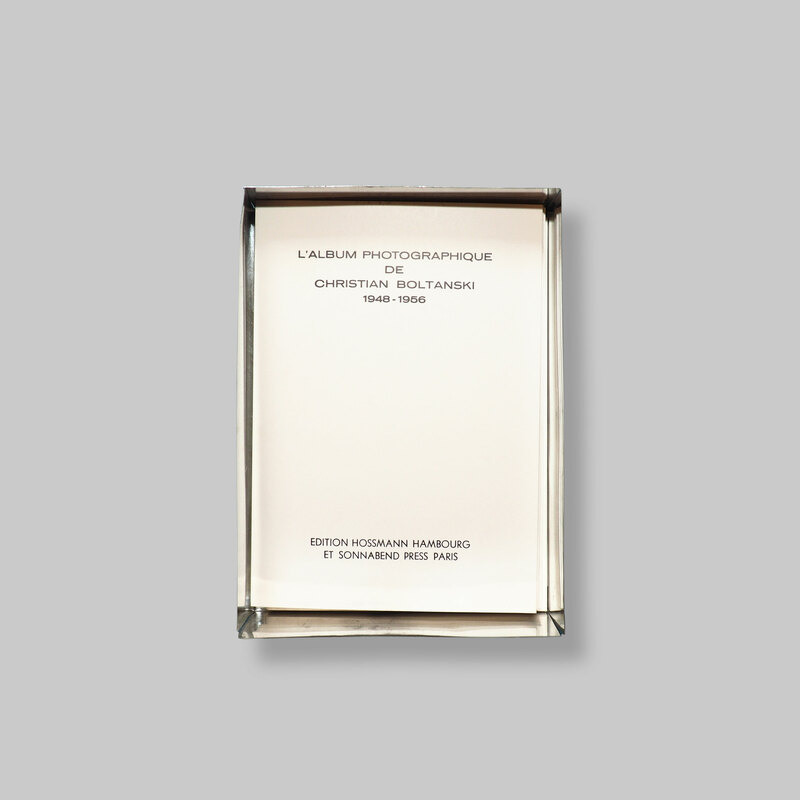 Description: Metal box with handwritten title by C. Boltanski in black marker on the lid of the box, 22,5 x 16,5 x 5,2 cms., containing a book approximately in the size of the box consisting of a title page, 32 b/w original gelatin-silver-prints by Annette Messager mounted on 32 white cardboard plates, 1 colophon page, numbered '44' and signed in pencil by Boltanski. Note: From the Special Edition: 60 copies (apart from 10 not-for-sale copies).